Unnecessarily overlong through being terribly repetitive, this is a very strange sidestep for director Oliver Hirschbiegel, who gave us everyone’s favorite Hitler movie Downfall. 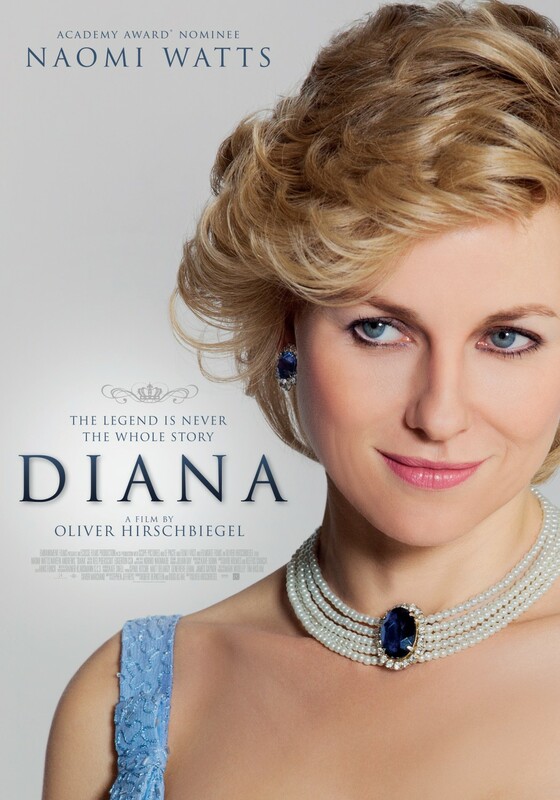 That movie was as unsentimental and flinty as it gets, but Diana is pure shmaltz. I have previously declared Naomi Watts the best screen actress in the world, but this role utterly defeats her. No doubt burdened by the weight of expectation, she is buried under her obsessive pursuit of imitation to the complete detriment of character. Constantly hitting famous poses, vocal inflections and physical mannerisms we all know so well, she has nothing left to portray an inner life. Michael Sheen, Steve Coogan, Michelle Williams, Sean Penn, Meryl Streep, Al Pacino, Nicole Kidman, Anthony Hopkins and so many other actors have found the key to playing real – and well-known – people is to find a few physical characteristics and wear them like a costume, but here Watts, to misuse the great line of Robert Downey’s from Tropic Thunder, “goes full retard”, and it’s too much. At times the film painfully attempts to be a rom-com (every time failing); at its most interesting, it (hopefully accurately) depicts the extremely bizarre life of a separated Princess, with the attendant attendants: the guards, the advisors, the staff and, of course, the paparazzi. But in the main, it is a drippy romance, spending the vast majority of its time in private, two-hander scenes imagining inane dialogue between a dead Princess and a famously reclusive, private surgeon; it only exists because it knows neither of them is going to complain.